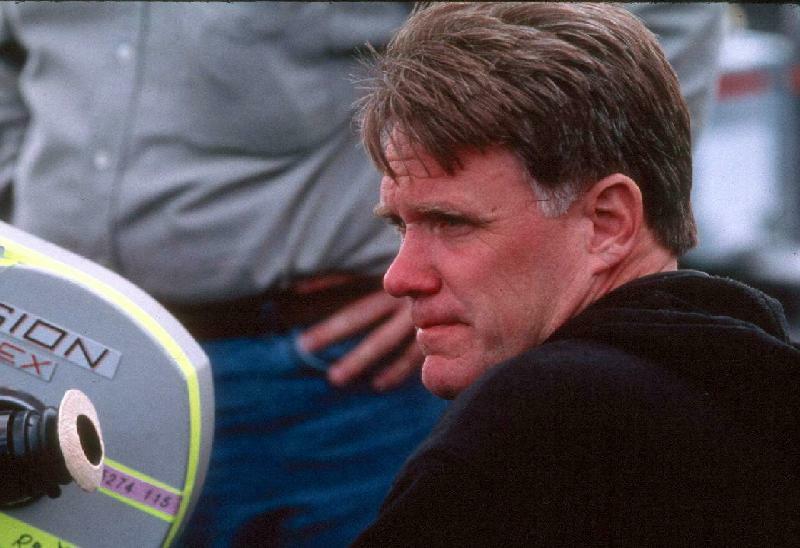 JOE JOHNSTON, director of October Sky. Photo: Deana Newcomb. 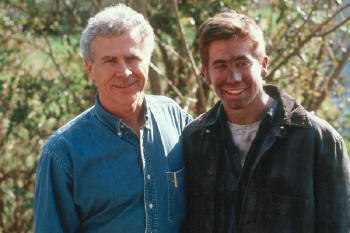 ©1999 Universal Studios. HOMER H. HICKAM, JR. (left), author of the autobiographical book Rocket Boys and former NASA engineer, on the set of October Sky with JAKE GYLLENHAAL, who portrays Homer Hickam as a young man. Photo: Deana Newcomb. ©1999 Universal Studios. 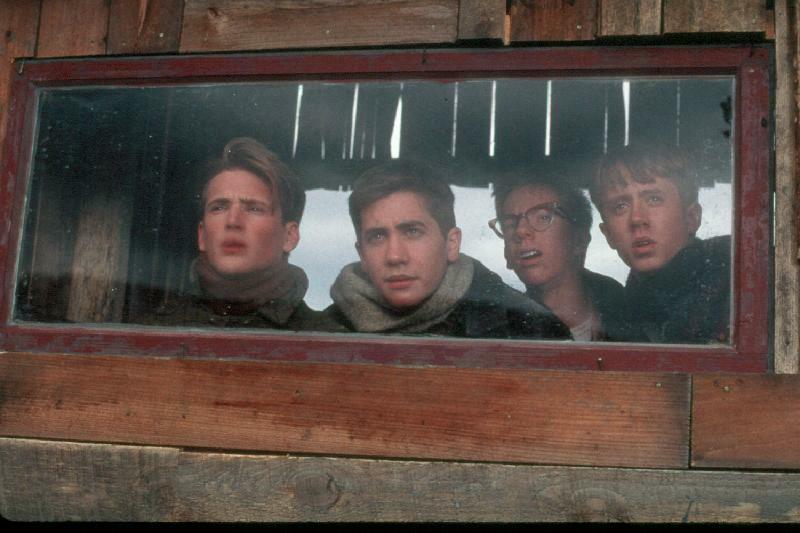 The "Rocket Boys" at their makeshift launch site "Cape Coalwood"; (left to right) WILLIAM LEE SCOTT as Roy Lee, JAKE GYLLENHAAL as Homer Hickam, CHRIS OWEN as Quentin, and CHAD LINDBERG as O'Dell. Photo: Deana Newcomb. ©1999 Universal Studios. 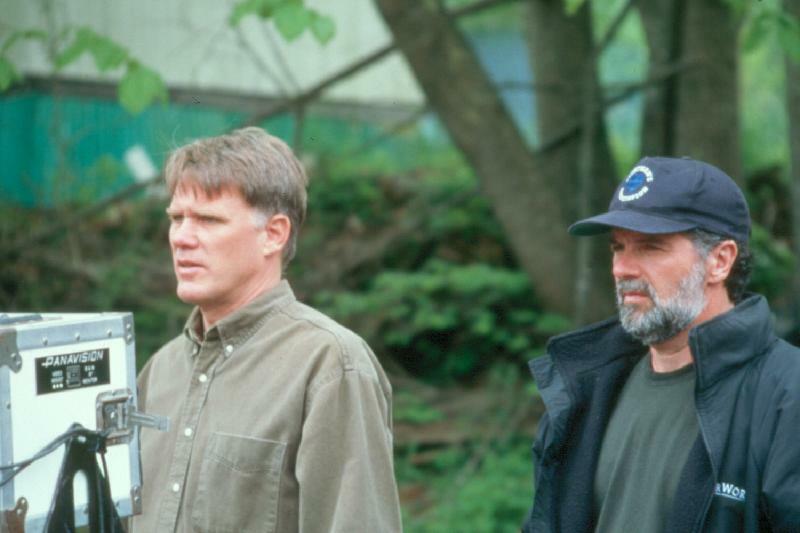 Director JOE JOHNSTON and producer CHARLES GORDON on the set of October Sky. Photo: Van Redin. ©1999 Universal Studios. John Hickam (CHRIS COOPER), the coal mine's superintendent, is frequently at odds with his youngest son, Homer (JAKE GYLLENHAAL) who refuses to accept his future as a coal miner. Photo: Van Redin. ©1999 Universal Studios. 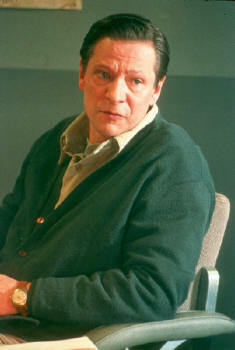 CHRIS COOPER as John Hickam in October Sky. Photo: Van Redin. ©1999 Universal Studios. 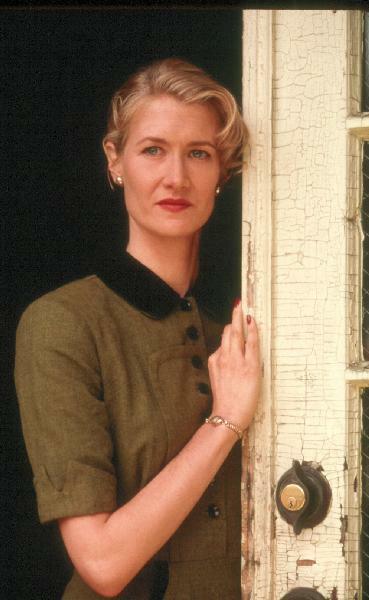 LAURA DERN as Miss Riley, the teacher who encourages the "Rocket Boys" to pursue their dreams. Photo: Deana Newcomb. ©1999 Universal Studios. 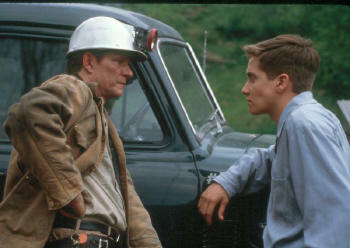 JAKE GYLLENHAAL as Homer Hickam, a young man in a small mining town who dreams of a future building rockets. Photo: Deana Newcomb. 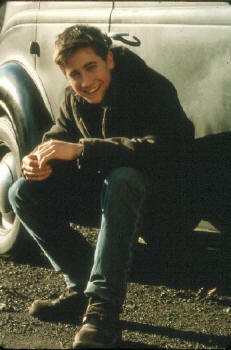 ©1999 Universal Studios.